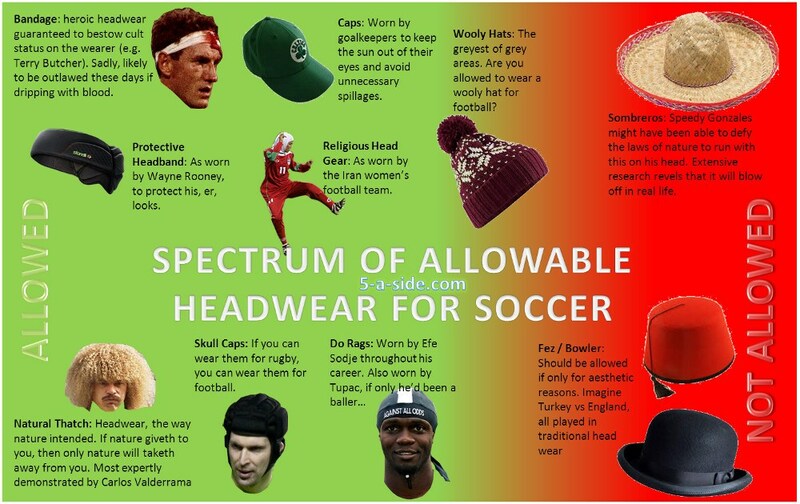 Can I wear a hat while training or playing a soccer match? Can I wear a woolly hat in a soccer training session, and can I wear one in a match? In a training session you can wear anything you want as long as your coach allows it (and why wouldn't they?). Many players wear beanies and other woolly hats or headbands in cold days. How does the match time work in soccer? Football - Who gets the match ball, if 2 or more players score hat-tricks in a game? What color shoes can USSF referee's wear? Do the type of cleats matter? Player with debut match perfect Hat-trick?